Home > Ghetto na Gàidhlig > Dè tha Sinn a’ Comharrachadh air Latha a’ Chuimhneachaidh? Dè tha Sinn a’ Comharrachadh air Latha a’ Chuimhneachaidh? Dè tha Sinn a’ Comharrachadh air Latha a’ Chuimhneachaidh? (What do We Commemorate on Remembrance Day?) Anns a’ chiad alt san t-sreath ùr de dh’ obair ann an Gàidhlig agus a’ Bheurla Ghallta air Bella, tha Ruairidh MacÌomhair a’ beachdachadh air eachdraidh latha a’ chuimhneachaidh agus cò is dè a thathar a’ comharrachadh san latha an-diugh. 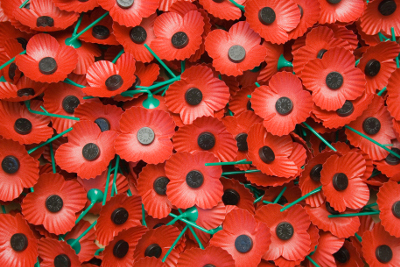 In the first article in a new strand of work in Gaelic and Scots on Bella, Ruairidh Maciver explores the background to remembrance day and asks who and what is being commemorated today. Tha latha a’ chuimhneachaidh a-rithist a’ tarraing dlùth – latha nuair a thèid cogaidhean Bhreatainn agus a’ Cho-fhlaitheis an cuimhneachadh agus an comharrachadh air feadh an t-saoghail. Bidh an t-seirbheis mhòr aig Cenotaph Lunnainn a cheart cho rìoghail agus cho mòrchuiseach is a bha i a-riamh. Gu dearbh, is comharrachadh ceud bliadhna on Chogadh Mhòr fhathast a’ leantainn, ‘s ann nas rìoghaile agus nas mòrchuisiche a bhitheas i.
Thèid iomadh seirbheis eile a chumail air feadh na dùthcha agus bidh na mìltean an làthair, ach airson mòran eile ’s e bhios ann ach latha pearsanta cuimhneachaidh: cothrom urram a thoirt don mhairbh air falbh bho fhèis nan seirbheisean armailteach. Bu chòir an cothrom seo a bhith aig gach neach, ach bu chòir dhuinn uile a bhith mothachail air dè dìreach a tha sinn a’ comharrachadh agus ar dòigh-cuimhneachaidh fhèin a thaghadh. Tha caochladh bheachdan air a bhith timcheall comharrachadh a’ chogaidh bho chaidh na ciad sheirbheisean cuimhneachaidh an cumail an 1919. Dhiùlt cuid a shaighdearan pàirt a ghabhail sa Phairèid Buaidhe a ghabh àite san Ògmhios 1919 agus iad den bheachd gur ann a’ moladh cogadh a bha e. Agus bhon chiad latha cuimhneachaidh san t-Samhain a’ bhliadhna sin, bha cuid a bha thall ’s a chunnaic a’ faireachdainn gun deach an cumail a-mach bho na seirbheisean oifigeil. Chum buidhnean de sheann shaighdearan an seirbheisean neo-oifigeil fhèin, aig an robh deoch-làidir pailte (eu-coltach ri seirbheisean stuama na stàite) agus a tharraing dìmeas bho phàipearan-naidheachd an latha. Dh’fhàs an crom-lus aithnichte sa bhad mar shamhla air seirbheis agus ìobairt nam Breatannach sa chogadh, ach cha d’ thug e fada gus an deach ceistean a thogail mu bhrìgh an t-samhlaidh (agus tha na ceistean sin fhathast ann an-diugh). Tha e ceart gu bheil sinn a’ ceasnachadh ìomhaigh a chaidh a chur air adhart an toiseach le luchd a’ chogaidh fhèin, ach chan eil math a bhith dèanamh dìmeas air an fheadhainn a tha an dara cuid airson crom-lus dearg a chaitheamh no a sheachnadh. Cuiridh mi fhìn crom-lus geal orm am bliadhna, ach ’s e roghainn phearsanta a th’ ann an sin. Bhon chiad dol-a-mach bha deasbad aig àrd-ire san riaghaltas mun fhòcas a bu chòir a bhith aig latha a’ chuimhneachaidh. Thubhairt am morair Tòraidheach, Curzon, Ceannard Chomataidh Latha a’ Chuimhneachaidh ann an 1921 nach bu chòir 11mh Samhain a bhith na latha airson caoineadh ach airson comharrachadh ‘sàr latha ann an eachdraidh na dùthcha’. Thog an deasbad sin ceann a-rithist ann an 2013 nuair a thubhairt Daibhidh Camshron gun robh e airson ‘s gum biodh comharrachadh a’ Chogaidh Mhòir coltach ri subhachas an Iubailidh Daoimein, agus gun canadh e ‘rudeigin mu dheidhinn cò a th’ annainn nar daoine’. Thaisbean an Camshronach le bhriathran dòigh-smaoineachaidh le freumhan domhainn am Breatann, a tha cleachdadh cuimhneachadh mar phropaganda agus a tha ag iarraidh oirnne uile a bhith an luib na cùise. Agus cò iad na ‘daoine’ air a bha e bruidhinn? Bràthair mo shean-sheanmhair, Dòmhnall MacLeòid, à Pabail, Leòdhais, a bhàsaich aig Blàr Tigres ann am Mesopotamia ann an 1916? Cha deach a chorp a lorg a-riamh agus chan eil air fhàgail dheth ach ainm sgrìobhte air carragh-cuimhne ann am Basra. Mo shean-sheanair, Dòmhnall Dòmhnallach, às an Aird, a bha air bòrd an HMS Formidable nuair a chaidh a bualadh le torpedo Gearmailteach an Caol Shasainn air latha na bliadhn’ ùire 1915? Bha e air aon de na 268 a thàinig beò às na 780 a bha air bòrd, ach cha d’ fhuair e riamh seachad air. No bràthair màthair mo sheanmhair, Coinneach MacIlleathain às An Taobh Tuath sna Hearadh, a chaidh a bhàthadh nuair a chailleadh an Iolaire far chosta Leòdhais air latha na bliadhn’ ùire 1919? Cha chanadh subhachas ri cleas an iùbailidh càil as fhiach no as fhìor mu dheidhinn bàs nam fear seo san teaghlach agam, no bàs nan ceudan de mhìltean eile ann an eachdraidh gach teaghlach san Rìoghachd Aonaichte. Agus dè chanadh e mu chogaidhean ar linn fhèin? Aig an àm seo den bhliadhna tha innleachd na stàite a’ dèanamh oidhirp gus gach cogadh anns a bheil Breatainn air a bhith an sàs an cur còmhla mar phàirt den aon sgeulachd. An Cogadh Mòr, an Darna Cogadh, na Falklands, Cogadh a’ Chamais, Afganastan, agus Ioràc, uile fon aon bhratach. Ach ma thèid thu fo bhratach, feumaidh tu gabhail ris an sgàile, agus tha sgàile Ioràc fhathast a’ laighe gu trom air nua-eachdraidh armailteach Bhreatainn. Agus airson nan teaghlaichean Breatannach a chaill ri linn Ioràc (gun luaidh air na mìltean de theaghlaichean Ioràcach), ‘s e aon latha cuimhneachaidh eile a th’ ann an seo far am feum iad feitheamh airson freagairt a choireigin mu chùl-adhbharan na còmhstri. ’S e tàmailt agus cuis-nàire a th’ anns an dàil ann an rannsachadh Chilcott airson na stàite. Agus ma tha aon nì a’ ceangal an Cogadh Mòr agus Ioràc, ’s e cho beag spèis a bh’ aig na ceannardan a thug na cogaidhean sin gu buil airson na feadhna a dh’fhuilingeadh air an sgàth. Tha e cudromach a bhith cuimhneachadh air cogaidhean agus an fheadhainn a chaidh am marbhadh rin linn. Tha cinn-bliadhna a’ toirt dhuinn cothrom smaoineachadh as ùr mu dheidhinn na thachair, agus ar n-oideachadh fhèin mu mhearachdan an ama a dh’fhalbh. Tha cuimhneachadh cudromach mar rabhadh mu dhìleab fhòirneart agus a bhith teagmhach mu rùintean ar ceannardan poilitigeach. Ach feumaidh sinn a bhith faiceallach mun mheadhan, oir tha an dòigh anns a bheilear a’ cuimhneachadh chogaidhean a cheart cho cudromach agus buadhmhor is a tha gnìomh a’ chuimhneachaidh fhèin. Mòran taing airson seo, a Ruairidh. Tapadh leibh airson seo Fhearghais, agus mòran taing airson ‘Daorsa agus Saorsa’ a thoirt rim aire cuideachd. Chuir Cogadh a’ Chrimea gu mòr ri uirsgeul an t-saighdeir Ghàidhealaich mar phrìomh shaighdear na h-Ìompaireachd agus chan eil e na ioghnadh gun robhas a’ feuchainn ri saighdearan a bhrosnachadh aig àm a’ Chogaidh Mhòir le bhith coimhead air ais mar seo. Barrachd propaganda. Beagan fìrinn cuideachd ge-tà: ‘In no part of the British Empire has there been more losses of brave men than in the Highlands’ (fìor sa Chogadh Mhòr co-dhiù). Ach saoilidh mi gu bheil an sgrìobhadair seo den bheachd gur e moladh agus adhbhar pròis a th’ ann an seo. Hi James. As far as my comment above is concerned, the English is not a translation of the Gaelic, but a quote from a 1916 wartime booklet to which my Gaelic is referring with a degree of anger. As far as dual language posts are concerned, and with all due respect to your obvious sympathy for Gaelic, it would be tedious to have to write the same thing twice, and a real disincentive to spontaneous comment. Gaelic needs its own space sometimes, without having to continually explain itself to English-speakers. That in fact was part of the background issue with my English quote, which is from the Introduction to a devotional Gaelic booklet sent out to Highland forces during WW1. Why was the Intro in English? A lot of older Gaelic material did that. There seemed to be a perceived need to bow the knee to the English-speaking establishment. No more. Chòrd seo rium, math pìosan beachdail den leithid leughadh.